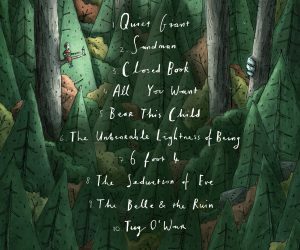 The album artwork of “Quiet Giant” – courtesy of Jacob Stack – is quite revealing about the artist and music it represents. In a dimly lit forest glade lies a single cabin surrounded by the uncertain vastness of nature. Beyond the comforting warmth of this enclave, way up in the trees, sits a solitary figure with a guitar. There can be little doubt that the character’s identity is Emma Langford. Her placement atop a tree beyond the campfire suggests a feeling of adventure, but also a quaint sense of being at ease. It represents a budding confidence in oneself to step out beyond the familiar and embrace the possibilities of the unknown. The stylistic and instrumental variety of the ten-song collection encapsulates this confidence and marks a major creative step up since the release of her debut EP last year. The inclusion of a larger group of consummate musicians helps nurture this developing artistic instinct. Fans of her self-titled EP will be pleased to find exciting, reimagined expressions of four out of its six tracks, the most dramatic of which is Closed Book. Having clearly identified the track’s potential as a larger powerhouse of contemporary folk, the tempo has been knocked up a gear and a more frenzied acoustic assault prevails. Nowhere is the indelible mark of the band felt more profoundly than here. Elsewhere, an almost rockabilly flavour permeates the spirited 6 Foot 4, where Langford playfully lambasts the life of the party who is loved by all… except by her. “And for all his good intention, that boy’s nothing but condescension”, she concludes. The band’s ability to build an instrumental structure to match a songs exuberance is balanced by their ability, in equal measure, to step back and let a song breathe. In these more subdued moments, Langford’s evocative lyrics and delicate vocal expression come into sharper focus. These qualities are given free reign and there is a clear desire to highlight her organic vocal temperament. This results in a live quality that helps preserve the sincerity of the lyrics. In the moving track All You Want, Langford delivers a sentimental line that almost sounds like she’s smiling. “Wish on passing cars, and laugh at shooting stars”. It is a sweet and natural moment. The Seduction of Eve is a standout moment which captures a deep melancholy with a haunting string arrangement and the lyrics to match. “You promised to be on my side, you swore your life for mine/ my insurance as I watched my bulwark fading”. Here, as elsewhere, the emotional weight of her vocal delivery is astounding. The Belle and the Ruin is a creative coup of storytelling that utilises celtic undertones to tell of a bittersweet fairytale. Tug O’ War is brimming with old delta blues and gospel influences, concluding the album with an arresting hybrid of old and new. 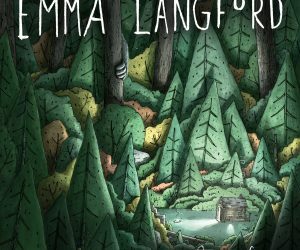 For her first LP Emma Langford has confidently laid out ten reasons why she has the creative edge needed to stand out from the rest. The subtle allusions to a diverse array of genres is exciting, while her vivid lyrical style and stunning capacity as a singer is compelling. ‘Quiet Giant’ is an encouraging start for someone who dared to leave the cabin and climb that tree.